Finding room to keep all our paraphernalia at home can be tricky. With families requiring an ever increasing amount of ‘stuff’ day to day, and modern houses 30% smaller than the typical home 40 years ago, finding home storage solutions takes some clever planning. Here are some ideas for finding storage space around the house where you thought you had none. If the floor and walls of your home seem to be full to the brim, look higher to find extra storage space in crowded rooms. Floor to ceiling shelving units can be a great way to make use of vertical space, as can high level shelves and cupboards over beds and doorways. Avoid storing regularly used items high up, as it can be a nuisance getting them all down again, but consider popping less frequently required items high up to get them out of the way. Clutter comes in many forms, and particularly for the younger members of households can often take the form of small bits and pieces. Lego, building blocks, small figures and toy cars can all be tricky to find homes for, so invest in attractive boxes to store these smaller things, stacked up on shelves or on top of cupboards. For grownups, boxes can be useful for housing paperwork and sentimental treasures, or see if you can get hold of a vintage suitcase to use as storage for your smaller items. Nothing is better for storage than something which is not purely storage. Coffee tables with hidden DVD storage underneath, sofas with storage in the base and divan beds with useful drawers in the sides can add storage space to everyday furniture without taking up any extra space at all. Sometimes there just isn’t enough space at home no matter how creative you are, and in this situation looking into storage away from the house can be a good decision. There is plenty of self storage in all of the UK’s major cities that can act as an extra room for your home and can be ideal for storing seasonal or surplus items. 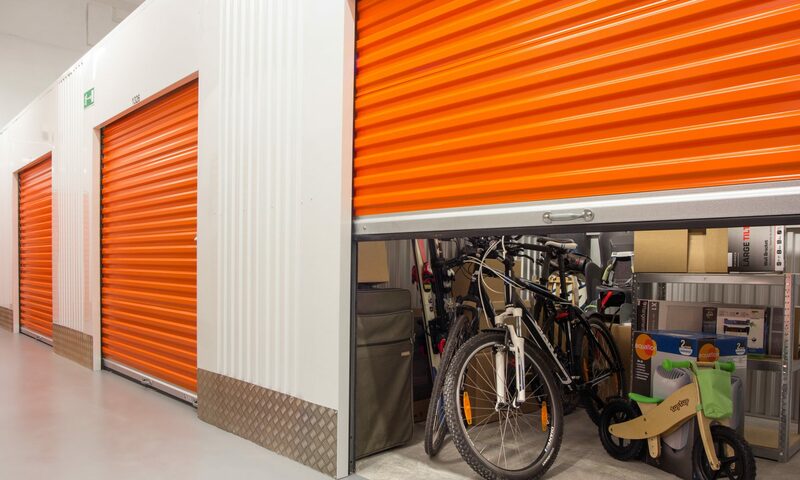 You can always enlist the services like storage and removal in Dorset or wherever you are to transport larger items to the self storage unit, and could be enjoying more space sooner than you think. If you have a garden or even just a yard, consider putting a container out there to store some of your more cumbersome belongings. Locking boxes or garden sheds can be ideal for bikes, lawnmowers and other bulky items, as well as tools and appliances you don’t have room for in the house. If you have children who are at least six years old, getting them into a high sleeper bed can free up valuable storage and floor space in their rooms. With space underneath for a desk, chair and even a chest of drawers, you’ll be able to find more places in their room for their toys, books and games. Next PostNext Guest Post: Planning on moving? Maybe it’s time to ‘get ruthless’!